Layer 1 : In a 2 litre pressure cooker, add oil and 2 tbsp of water. Layer 2: Place the onion slices in such a way that it covers the base of the cooker. Layer 3: Add ginger garlic paste. Layer 4: Spread the drained millet. Layer 5: Spread the beetroot cubes and peas. Layer 6: Add all the spice powders one by one. Layer 7: Add the whole spices mentioned above. Layer 8: Add spring onions and coriander leaves. Layer 9: Finally add 1.5 cups of water from the sides of the cooker without disturbing the layers. Close the cooker and place it on the heat source and cook for 2 whistles on high. Let the pressure settle down. Open fluff up and serve. This is a regular dish at my place and I have tried this with Kodo, Little, Banyard and Foxtail millets. All the time the same grainy, beautiful texture. Thanks, VV, all your recipes are amazing! Thanks so much for validating this recipe and sharing your experience. Your pulav was gorgeous!! I am new to OPOS.If we use basmati rice what is the amount of water needed and whistle counts please. Thanks for your visit. If you use basmati rice, if you are using soaked rice 1:1 water will be perfect. Sorry for my late response. Check anyonecankoch blog for OPOS recipes with rice. Thanks so much for your visit. Please try and share your experience. Hi VV, this is Mridula from our opos school. I tried this with foxtail millet. Unfortunately, that’s the only millet I found here. Its very good. I scaled it up so that I can take it for lunch the next day for me and hubby. Children arent into millets yet, maybe one day. Happy to get a validation from you! 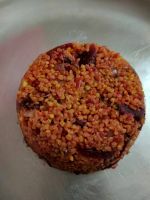 You can use foxtail millet for almost all recipes shared in the site. Please try other recipes like Tahiri, burnt garlic rice, capsicum rice etc. One more pictures of this awesome rice. Your pulave looks awesome! Thanks so much for sharing. 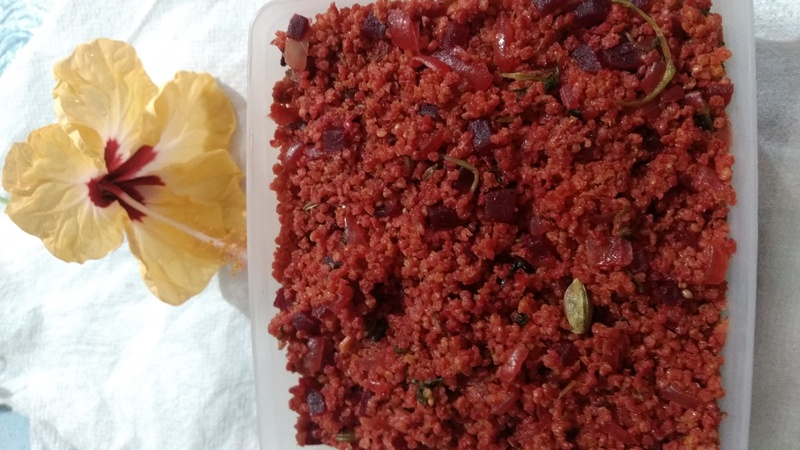 Beetroot pulao has become a regular lunch box menu in our house. 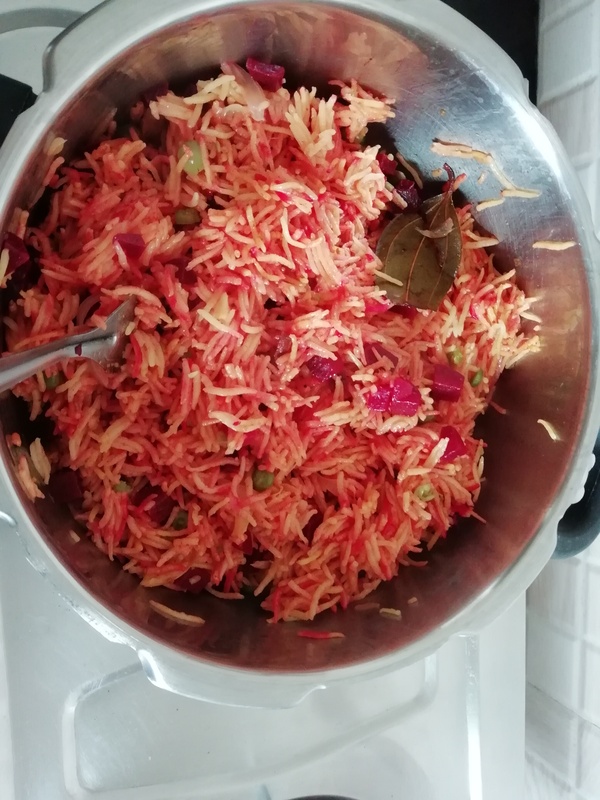 We generally make kootu or poriyal with beetroot. But pulao was a new to me. 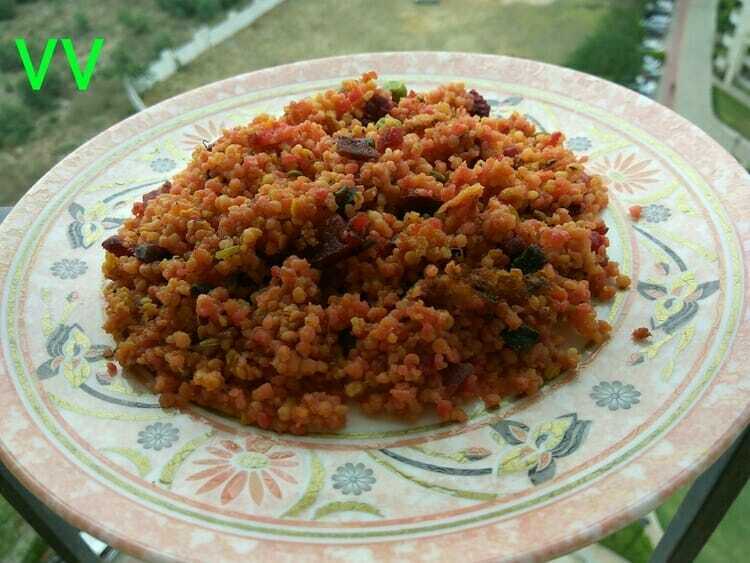 I make it with millets for me and hubby and with basmathi rice for children. The colour of the pulav is really inviting. Goes well with onion and cucumber raitha. Thanks you. 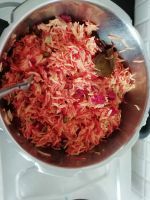 I know how much your children love this pulav. Thanks for trying this with millets and validating the recipe.